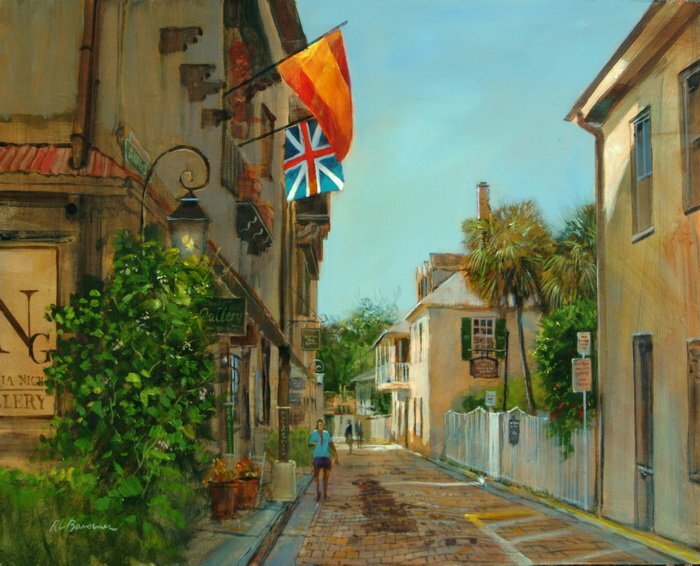 One of my favorite places in St. Augustine and a great place to set up an easel and paint. It’s a very narrow road and claimed to be the oldest street in the United States. Since it is so narrow setting up an easel requires that I be close to the edge so the horse and carriages and tour trains can pass.